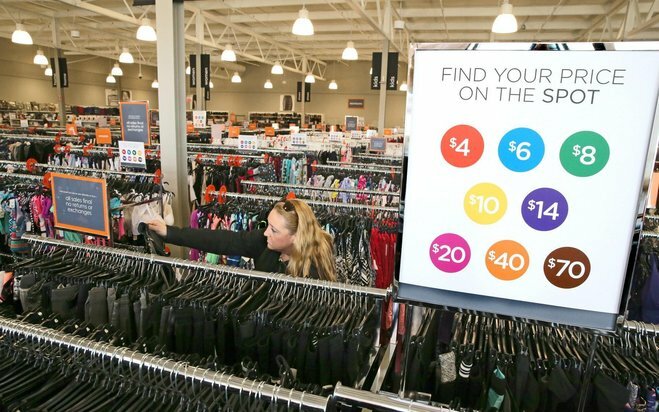 Kohl's Corp.'s new Off/Aisle store has a polished concrete floor, sleek lighting fixtures and a way of pricing merchandise that is very different from the Menomonee Falls retailer's traditional department stores. No coupons or special discounts here. At Off/Aisle, everything has a "spot" price. Items with an orange circle on the tag are $4; items with a blue circle, $6. Prices range from $4 to $70, most on the lower end of that scale. Kohl's opened its first Off/Aisle store in New Jersey in June. The two Milwaukee-area stores — in Wauwatosa at the Mayfair Collection and on Sunset Drive in Waukesha — are its second and third. "It's very different from a typical Kohl's store," said Rick Schepp, chief administrative officer of Kohl's. "It doesn't have all the fancy fixtures, and the values you'll find here are deep and compelling." This is an excerpt from an article posted on JSonline.com. For complete article, click here.